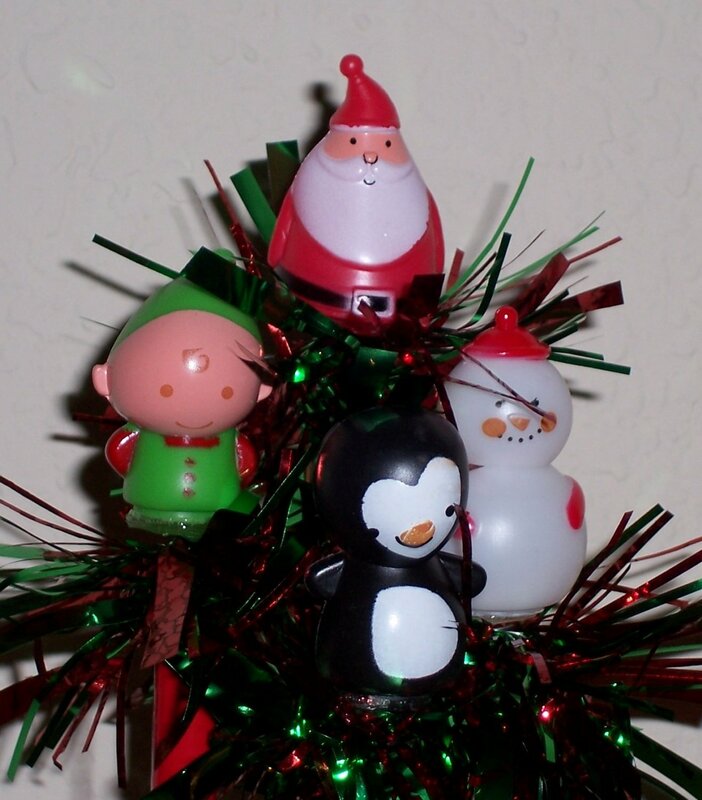 Each of these Christmas pals is filled with plastic beads (so they rattle when moved), mounted on a spring then set into a ball point pen covered in red, green, silver and gold duct tape. Holiday garland is added to give an extra festive flair. The set is 4 pens: Santa, Elf, Penguin and Snowman. Contents: characters are hollow plastic with plastic beads; metal springs; mylar and wire garland; Biro-type stick pens; Duck brand duct tape.